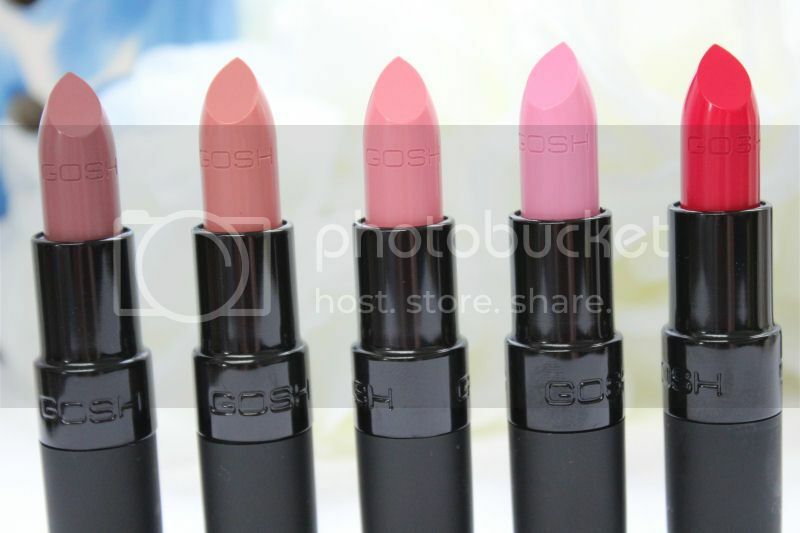 Today’s post is all about lipsticks and more specifically the *Spring lipstick collection from GOSH. In total there are eight lipsticks in the collection and today I will be sharing five of them with you. The GOSH Velvet Touch Lipsticks contain light-reflecting pigments and nourishing vegetable oils to keep the lips moisturised as well as vitamin E which protects the lips against free radicals. They feel extremely comfortable to wear as they are very light and do not dry out the lips at all which I love because I can’t stand wearing make-up that feels heavy and cakey. The first lipstick I wore was Yours Forever which is a gorgeous rich berry toned pink/red which at first I feared would end up everywhere. However, I was mistaken. This lipstick lasted for a good couple of hours despite drinking and chatting and thankfully it stayed in place. There’s nothing worse than wearing a bright lipstick that ends up on your teeth and around your face because not only do they look unflattering but they can sometimes stain a little too. 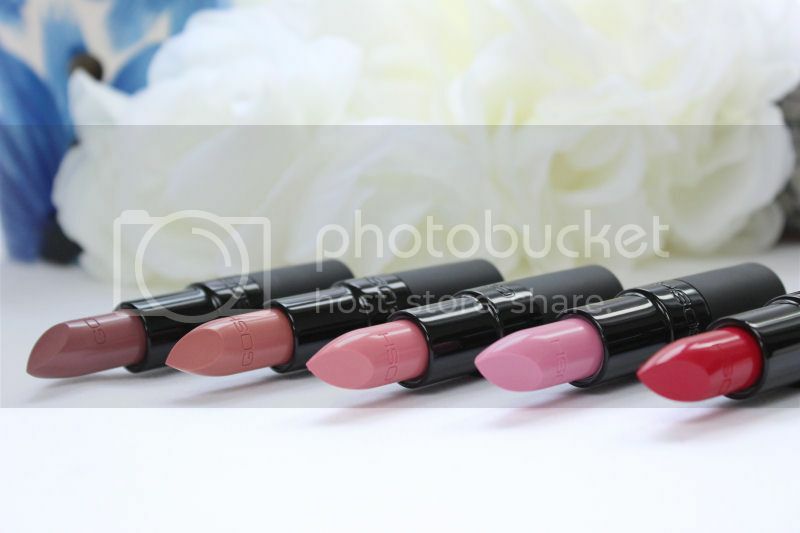 The pigmentation of the GOSH lipsticks varies depending on the colour as there is a mixture of both sheer and opaque shades in the collection and whilst the selection isn’t huge there is a good variety so there should be something to suit most people. My favourite shades are Yours Forever, Innocent and Romance. I can definitely see myself wearing these a lot over the Spring and Summer. Priced at £6.49 in Superdrug I think the GOSH lipsticks are brilliant value for money and definitely worth a look. The packaging is also a gorgeous mixture of matte and shiny black which I love as it makes them feel a lot more expensive than what they actually are. You know what they say: diamonds aren't a girl's best friend, it's always lipstick! Looks like they have some gorgeous shades! 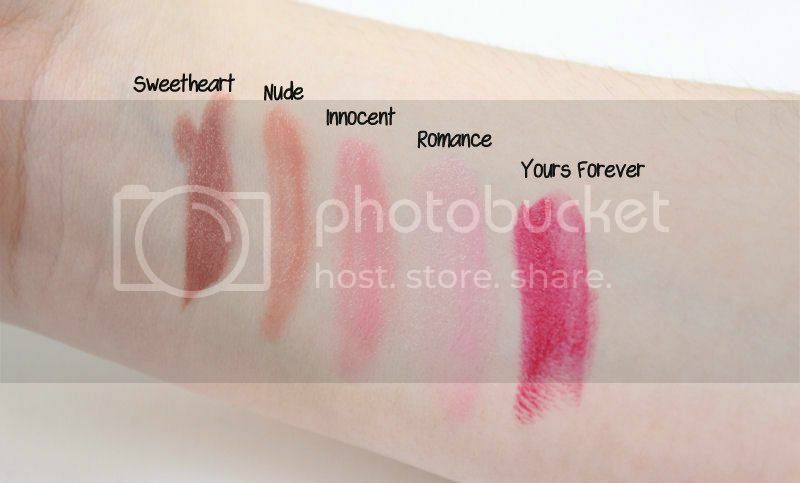 Love the look of the Innocent shade! wow looks like i need to a trip to super drugs! these colours look stunning! Ohhh these are all so pretty! I especially like Innocent. I want these lipstick's to bad! They look super pretty! Lovely post and great photos!! Added these to my ever growing wishlist! Oh!I love the 158 shade!! The second one looks perfect !